Botley the coding robot requires 5 AAA batteries. Batteries are not included. Meet Botley, the code to fun! As the newest member of the Learning Resources Family, Botley the Coding Robot is here to introduce coding in an easy, friendly way. Children as young as 5 can learn to code with Botley, and with his advanced features, he can grow with them for many years to come. Botley is ready to use right out of the box, so he will have kids coding in minutes (plan ahead: bottle requires 5 AAA batteries, not included). Botley is also 100% screen free; no phone or tablet required. Explore Botley’s advanced features and code him for up to 80 steps, with 40 more you can discover. He can also follow looping commands or be programmed to go around objects with If/Then logic. Turn on the black-line follow mode and set up a path for Botley to travel. Botley even has hidden features to unlock! Botley includes coding cards, detachable arms, interactive obstacles, and Code games that are ready for endless hours of fun and learning. Learning coding with Botley helps kids foster creativity and develop problem-solving and critical thinking skills! 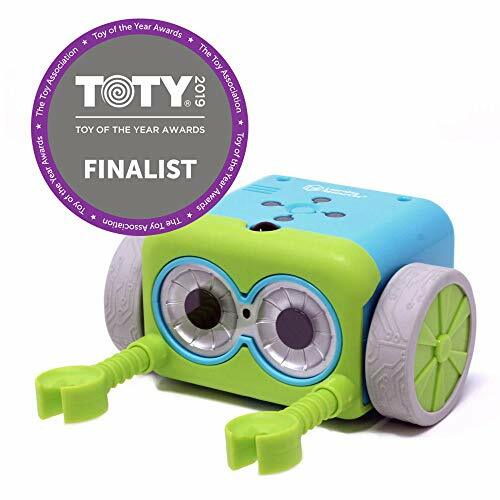 Give the gift of coding this holiday season with Botley the Coding Robot!